Join @RickGriffin and the MobileLiving team at 3 pm ET (12 noon PT) on Friday, September 28 as we bring in the Fall with a Furor of Fun as we discuss F Words! This chat will be a little different from most, as the subject of each question will begin with the letter ‘F’. We’ll be discussing everything from Food to Football to Fashion, Fitness, Finance and more! Join us as we explore how the latest developments in the rapidly expanding mobile landscape are touching every aspect of our lives and can help us with our F words! RSVP and attend the party for a chance to win a Bose SoundLink Color Bluetooth speaker or a Google Home smart speaker and home assistant! Include the #MobileLiving hash tag in your answers and comments during the chat! PRIZE WINNERS will be announced during the Party. Apple unveiled its annual updated iPhones last week and, like every upgrade, they have their shares of pros and cons. There are three new models – the iPhone XR, XS and the XS Max. The iPhone X is gone, as are older iPhones that required a headphone jack. 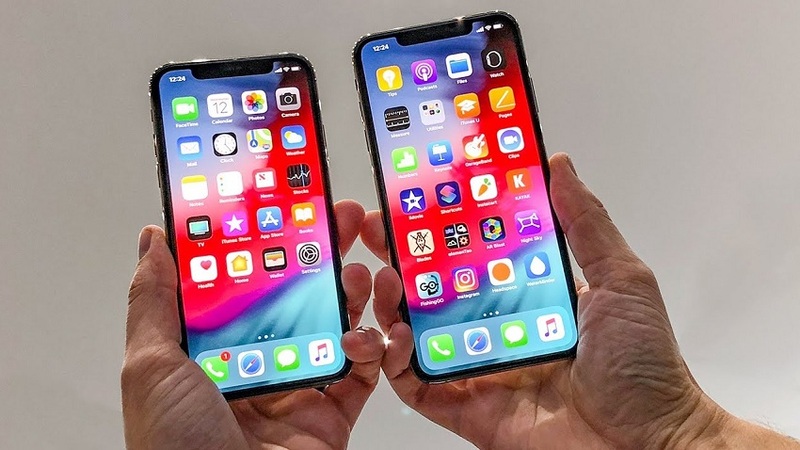 The iPhone XS and iPhone XS Max are basically the same, just in two different sizes, and the XR is Apple’s version of their “budget” iPhone but, at $749, consumers may not see it as such a bargain. The iPhone XR comes with a 6.1-inch “Liquid Retina” LCD, has either 64GB, 128GB or 256GB of storage, and is equipped with an A12 Bionic chip, which Phil Schiller, Apple’s senior vice president of worldwide marketing, calls “the smartest, most powerful chip ever in a smartphone.” It’s available in six colors: red, yellow, white, coral, black, and blue finishes. It features a 12MP wide-angle camera and a 7MP front-facing “TrueDepth” camera. ($749 to $899). The iPhone XS features a smaller 5.8-inch OLED display, a choice of 64GB, 256GB or 512GB storage, the same A12 Bionic chip, and a12MP wide-angle and telephoto cameras alongside the 7MP front-facing “TrueDepth” camera. It comes in three finishes: gold, space gray, and silver. ($999 to $1,349). The only difference between the iPhone XS and the iPhone XS Max is the screen. The XS Max features a larger, 6.5-inch OLED display. ($1,099 to $1,449). This isn’t the first time Apple has offered a “budget” version of their high-end models but they’ve learned from past mistakes. Previous models like the iPhone SE and iPhone 5C were less successful than their counterparts, so Apple kept many of the features and cut corners on areas like battery size and casing. The XS and XS Max cameras are generating a lot of buzz. Using algorithms, the cameras can detect faces and bodies and feature instant red-eye reduction. Its smart HDR feature can identify highlights and find shadow detail. Also, the new camera allows users to adjust the depth of a portrait mode photo after you take the picture, giving users control over the blur. All editing happens in the Photos app through a slider. Pre-orders for the iPhone XS and XS Max started Friday, September 14th and the phones will be in stores beginning Friday, September 21st. iPhone XR pre-orders start October 19th and will be on sale in stores beginning October 26th. Get your best pictures ready to share, as we all learn from each other! RSVP and attend the party for a chance to win a Google Home Mini or a brand new iPad! Join @RickGriffin and the MobileLiving team at 3 pm ET (12 noon PT) on Friday, September 14 as we chat about How To Be More Productive! 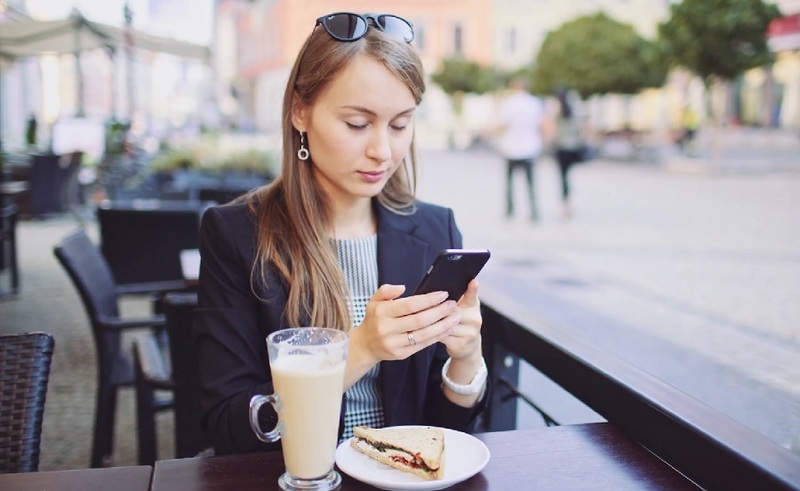 Smarter devices and faster networks should be making us more organized and efficient but are we taking advantage of everything that mobile technology has to offer? Join Rick and the team as we explore the apps and hacks that can make a more productive lifestyle a reality! RSVP and attend the party for a chance to win a Samsung Wireless Charging Base or an Amazon Echo Home Assistant! If there’s one thing I’ve learned over the years, it’s that success looks different for everybody, especially when it comes to kids and school. I’m one of seven, and my siblings and I have vastly different talents, gifts and abilities. Earning B+ on a spelling test was a mediocre grade for one of my sisters but a reason to go out for ice cream for one of my brothers. That same sister is a single mom to four kids diagnosed with ADHD, so getting everyone dressed, out the door and on the bus wearing pants is a major victory, while my sister-in-law homeschools and loves the way she can ease into the morning with her special-needs son. At the end of the day, no matter the method or routine, we all want the same thing – to equip our kids for success. Understanding that no matter your definition, starting a new school year and setting goals can be stressful for parents and children alike. Follow these tips from Nicole Callander, a therapist at Bayridge Counseling Centers, to help you and your kids have your most successful year yet. The first step is to set reasonable expectations. Don’t stress about Pinterest-worthy bento box lunches with sandwiches shaped like pandas and carrot sticks carved into tiny bamboo shoots. Send a healthy lunch in packaging your child has the motor skills to open and serve themselves. Or, if your child has ever gone to school without wearing pants – I’m looking at my nephew Tristan here who once put snow pants on over his underwear and didn’t realize his mistake until he got to school and started to hang up his winter gear – then you should probably give them grace on forgetting their lunch. We all want to start the year off strong, but the key is knowing your strengths, playing off them and working on the rest. Get organized. If your mornings look like the first 20 minutes of Saving Private Ryan without the gunfire, start the night before. Pack and prep lunches, backpacks, uniforms, sports equipment, and all the other paraphernalia that comes with school. Set a routine and post it on the refrigerator if that helps, so kids learn to empty backpacks, lunchboxes and gym clothes when they get home so you aren’t scrambling in the morning. Access your school’s online resources to help keep track of field trips, lunch-money refills, picture day, parent-teacher conferences and other related activities. Give your child age and skill level appropriate tasks to engage them in the process and teach them responsibility. Don’t rescue them every time. I’m not talking about “I think your son got a concussion in gym class,” but I am referring to the forgotten lunch, gym clothes or homework. 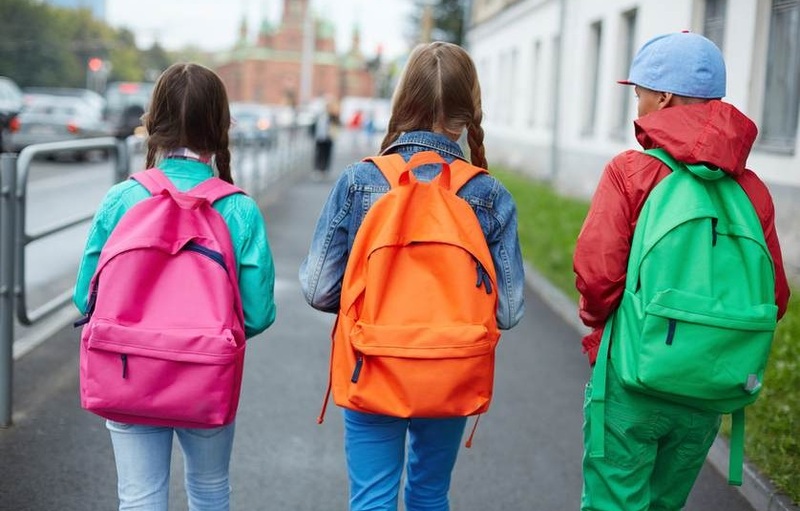 Having to eat school lunch, sit out of gym for a period or take a lower grade on an assignment won’t mean they can’t get into a good school but it will mean they’ll be more likely to remember to pack their gym bag or backpack the next time you ask. Remember, you’re not raising kids, you’re raising future adults. As Sharon Martin, speaker, writer, and licensed psychotherapist says, “Success is a process dotted with failures.” It comes from trying, failing, and trying again, but each time learning something. You kids will not become successful by avoiding failure or constantly being rescued but by growing and learning through it. Finally, set your expectations based on your values. Academics are important indicators of future success and laying a solid foundation in elementary school is critical for finding success in high school and beyond. However, remind your child that their social, physical and emotional health are also essential. Over-scheduling with sports, music lessons and other extra-curricular activities can be incredibly stressful for both of you. And sure, good grades are important but academics are only one indicator of future success. Remind them you’re looking for a sincere effort, steady improvement and a positive attitude. More than an A on a spelling test, those are the real markers for future success.